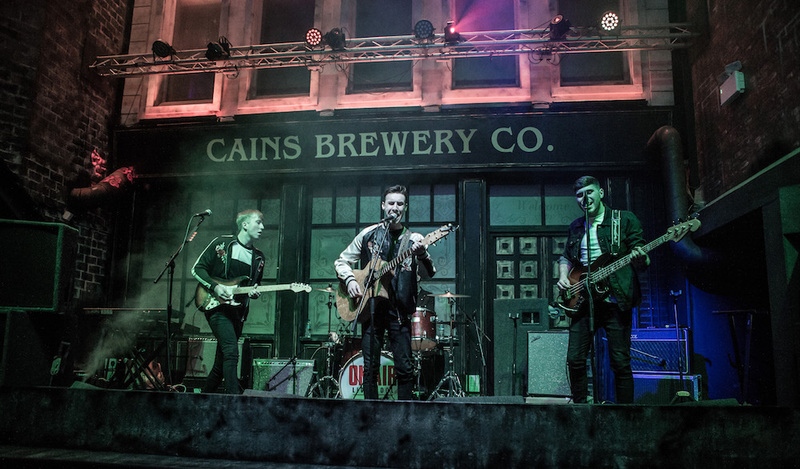 Last night saw a huge success for the launch of ON AIR, the new world-class music venue and cocktail bar in Cains Brewery Village. More than 300 people from the music and media industries attended the new venue, which has been opened by the team behind the massively popular Ghetto Golf, Danny Bolger and Kip Piper, and chart-topping musician Ethan Allen. Guests sampled a range of the venue’s speciality cocktails, beers, wines and spirits as well as delicious street food from Apocalypse Cow. They started their evening in the new extended Birdies Bar, with its laid-back live music and stunning new cocktail bar, before heading into the new venue itself. Inside they were met by huge beautifully painted 60ft high film sets, with secret garden mezzanine lit by fairy lights, offering views over the stage. 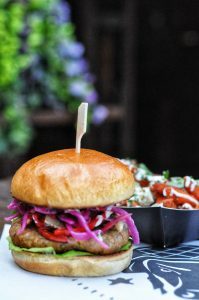 With the feel of a summer evening in a courtyard music festival, it is unlike anything Liverpool has seen before and completes the hugely successful Upper Parliament Street side of the Cain’s Brewery Village, alongside Ghetto Golf and Birdies Bar and BBQ. Headliner and former Zutons singer Dave McCabe took to the stage with his new band Silent K, with support from up and coming Liverpool bands The Cheap Thrills and The Ambition. 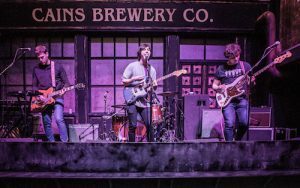 The evening was hosted by BBC Radio Merseyside presenter Dave Monks, who is working with the venue on a monthly music nights showcase the best in emerging Merseyside talent with a cutting edge mix of new bands and established acts. The launch was the first part of ON AIR’s St Patrick’s weekend festival, where dozens of the North West’s best bands will play live. With free entry across the whole weekend, it’s the perfect opportunity to see the city’s hottest new venue. Future ON AIR unsigned nights will be hosted by Dave Monks each month throughout 2018.